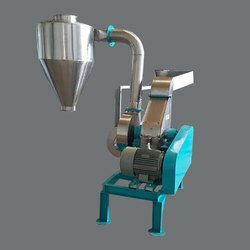 We are a leading Manufacturer of chilli grinding machine, chilly grinding plant, spices grinding plant and 20 hp red chilli grinding machine from Ahmedabad, India. 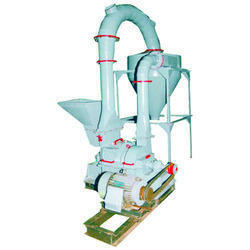 Hammer mill is economical unit designed for all types of spices for time saving operation. All spices passes through a wide feed hopper into the grinding chamber. the swinging hammers, in the rotating hammer rotor, crushes materials at the stationery liners before passes through a screen and rotating hammers. The ground material is continuously sucked by a powerful air blower through screen and conveyed though the pipe line into the cyclone separator for bagging. The air blower maintains constant atmospheric cool air flow in the mill chamber in order to obtain a cool & quality product and continuously cleans the screen, thus increases the output of the ground material. The particles size of the ground material can be varied by a large range of sieves with the desired opening. The dust & ground material is gets separated in the cyclone separator. Top of the cyclone air balloon is fitted. Air balloon separates clean air & dust. The dust gets collated in air balloon. As soon as air balloon shacked the dust dropped into the cyclone separator and get collected from bottom of the cyclone separator. We are leading manufacturer and supplier of Spices Grinding Plant we locate in Ahmedabad Gujarat and we looking buyer of Spices Grinding Plant from all over world. 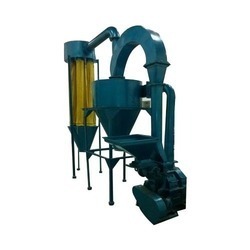 Our Plants are used in Grinding process of Spices , Tamarind Powder and any more like this products. We assured our plants are long durable and give best quality of production. 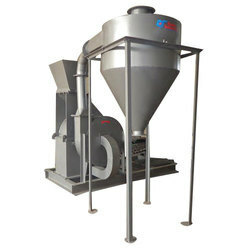 We deal in 20 HP Red Chilli Grinding Machine.